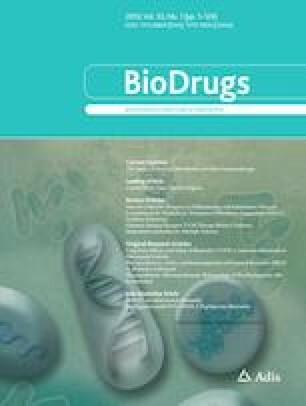 The objective of this study was to compare the pharmacokinetics (PKs), safety, and immunogenicity of GB242 as a potential biosimilar infliximab with those of reference infliximab in healthy Chinese subjects. We conducted a randomized, single-center, double-blind, parallel-controlled phase I study in which 48 healthy subjects were divided equally into a GB242 group and reference infliximab group. Both the test and reference drug were administered as a single intravenous dose of 3 mg/kg. Blood samples were collected as per a designated schedule to evaluate PKs and immunogenicity. Safety was assessed throughout the study. PK similarity was concluded if the 90% confidence intervals (CIs) for the geometric mean ratios of the GB242 to reference infliximab for maximum concentration (Cmax), area under the concentration–time curve (AUC) from time zero to the last quantifiable concentration (AUCt), and AUC from time zero to infinity (AUC∞) were within the predefined bioequivalence range of 80–125%. The mean serum concentration–time curves were similar between GB242 and reference infliximab. The 90% CIs for the geometric mean ratios of the GB242 to reference infliximab for Cmax, AUCt, and AUC∞ were completely within 80–125% for the PK similarity comparison. The proportion of subjects with treatment-emergent adverse events was similar between the GB242 group and the reference infliximab group. Antidrug antibody profiles were comparable between the two treatments groups. This study demonstrated high PK similarity between GB242 and its marketed reference infliximab in healthy subjects. Both treatments showed comparable safety and immunogenicity. Tan Zhang and Guihong Chen contributed equally to this work. The online version of this article ( https://doi.org/10.1007/s40259-018-0326-x) contains supplementary material, which is available to authorized users. Genor Biopharma Co. Ltd. (Shanghai, China) provided the test drugs (GB242 and reference infliximab). The authors would like to extend thanks to all enrolled participants, investigators, and people who contributed to this study. Yi Fang, Qingshan Zheng, Youzhong An, Jie Lv, Huiyang Cheng, and Shengbin Ren designed and monitored the whole study. Tan Zhang and Guihong Chen contributed to the data analysis and paper writing equally. Li’an Zu and Qian Wang were responsible for pre-treatment, drug administration, and blood sample collection in this study. Chang Liu, Qi Wang, and Yitong Wang contributed to blood sample collection and data analysis. Haifeng Song and Lihou Dong were in charge of determination of drug concentrations. All authors provided critical review and approved this manuscript. Yi Fang is the guarantor for the overall content. This study was funded by Genor Biopharma Co. Ltd. (Shanghai, China). Huiyang Cheng and Shengbin Ren are employees of Genor Biopharma Co. Ltd. (Shanghai, China). Tan Zhang, Guihong Chen, Chang Liu, Li’an Zu, Qi Wang, Yitong Wang, Jie Lv, Youzhong An, Lihou Dong, Qian Wang, Qingshan Zheng, Haifeng Song, and Yi Fang have no conflicts of interest to disclose. Dexamethasone sodium phosphate. Product information. 2010. https://www.ebs.tga.gov.au/ebs/picmi/picmirepository.nsf/pdf?OpenAgent&id=CP-2011-PI-02528-3. Accessed 20 Sep 2018.